Bella Rosenfeld was the eighth child in an orthodox Jewish family. Her parents owned a jewelry store and were considered quite wealthy. Her father was constantly immersed in Torah, sharpness, and her mother was engaged in business. Despite the patriarchal family life the Rosenfelds allowed Bella to obtain a secular education. The girl studied in Moscow at the Women’s College, was interested in literature and theater. 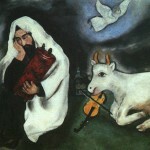 Thoughtful, constantly immersed in painting, the poor, Moishe Shagal was recognized by no one. But Bella saw the talent in him. 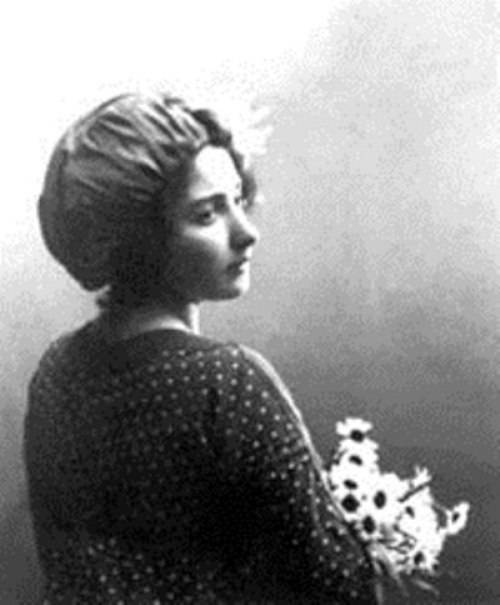 In 1909, Bella met a young artist Moishe Shagal at a party at her friend’s. 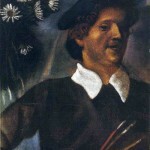 Thoughtful, constantly immersed in the painting, which he considered his life’s work, Moishe was recognized by no one, he was poor. Bella saw the talent in him, she believed in him even then, believed in him all her life. 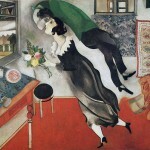 A penniless artist was, however, the last thing Bella’s parents wanted as a son-in-law, and, although the couple were engaged in 1910, Chagall knew he had to prove himself before the Rosenfelds would consent to marriage. Six years after the first meeting, July 25, 1915, they were married. 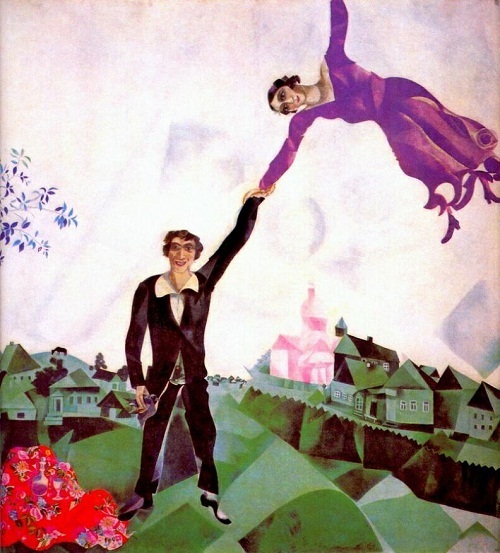 The love theme in the works of Chagall is invariably associated with the image of Bella. 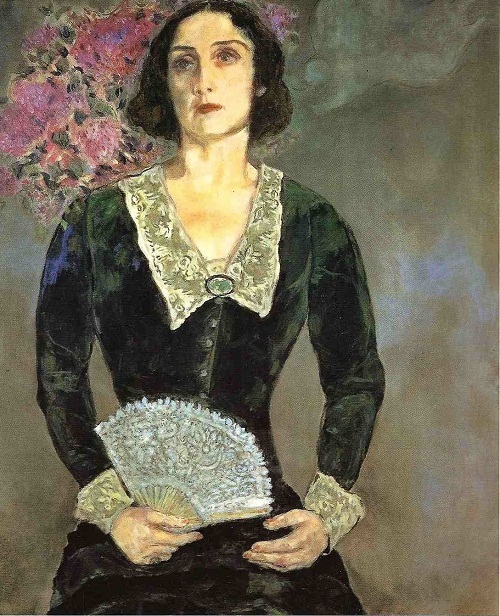 From paintings of all periods, including the latest (after the death of Bella), her bulging black eyes are looking at us, her features are recognizable in almost all the women he depicted. 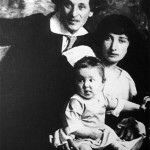 Bella lived with Marc Chagall long and happy life, sharing with him all the difficulties and success, she gave him a daughter, Ida. But the artist had to live without his muse: Bella died of sepsis in an American hospital on September 2, 1944. 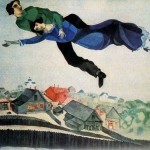 Marc Chagall wrote ‘The thunder rolled, the clouds opened. Everything went dark,’ wrote Chagall. For six months he turned his canvases to the wall – the only time in his life he did not paint – and howled on the floor of his daughter’s flat, begging to die, too. And then he painted “Solitude” – that is, his “orphaned” life on the background of fluttering and ascended into heaven, Bella. After the death of Bella the widowed master for nine months lost interest to life and work. Nothing could take him out of depression. To distract him, 28-year-old Ida, then 28, took home a beautiful housekeeper Virginia Haggard, who was married to a certain McNeil and had a five year old daughter. Her husband, a Scotsman, an artist and stage designer, sometimes became depressed and unable to work, so Virginia, the daughter of a former British consul in the U.S. had the most support from her family. 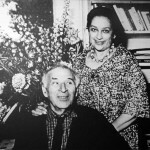 When they met, Chagall was 58 years old, Virginia – 30. The artist could not help but appreciate the refined beauty of a young woman. 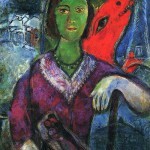 She soon became Chagall’s lover and in 1946 they had a son David. 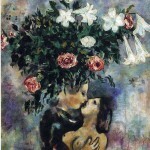 At once Chagall style grew dramatically simplified. Where portraits of Bella are richly complex, Virginia is sketched, lean and long-limbed, with none of the depth of a person truly known and loved. 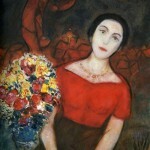 At this time, too, deprived by Bella’s death of a living connection to Russian themes – his inspiration – Chagall’s images lost solidity and force, sinking into pastiche. 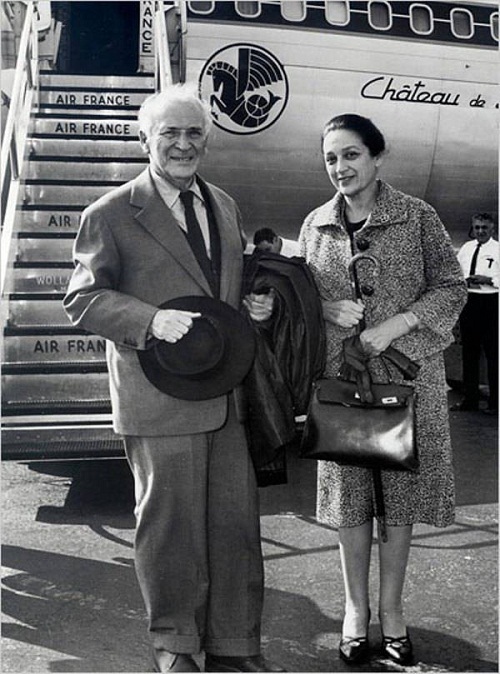 However, the plan of his daughter Ida was effective: between Chagall and Haggard broke the strongest sense, and in autumn 1945 Chagall’s beloved became pregnant. 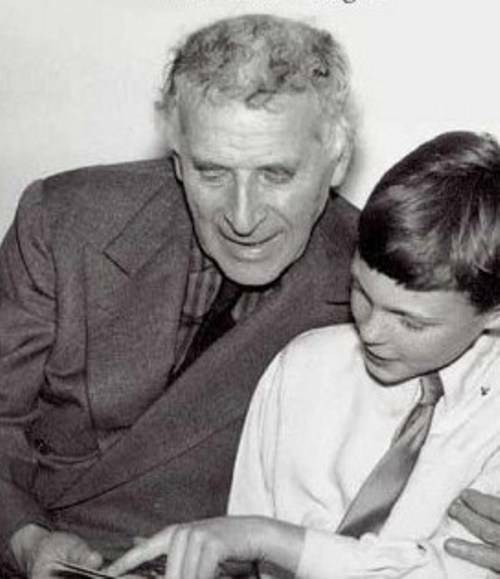 The boy was named David, in honor of the died brother of the painter. Since Virginia at that time was not divorced, the boy got the family name of his Scottish stepfather. 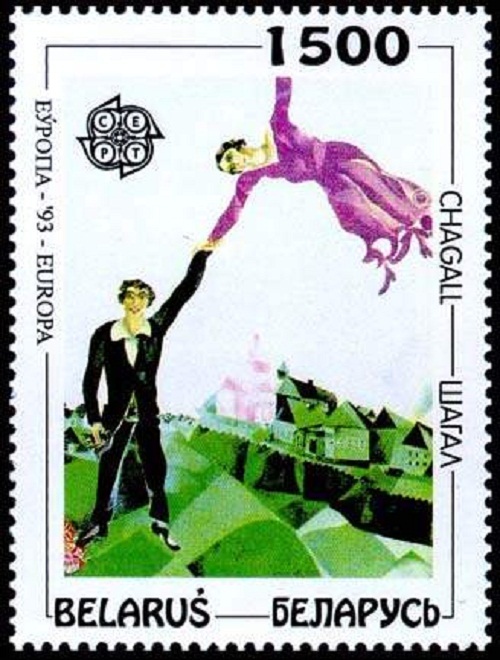 Whirlwind romance enlivened Chagall and this period has become one of the most successful in his career. New creations, exhibitions, publications, solemn meeting … In 1951, Virginia finally divorced from McNeil, and left both – for the Belgian photographer. She took her son and gave up 18 works by the artist, donated to her at different times, leaving for herself just two of his drawings. Virginia moved to Belgium, where she lived until her death in 2006. 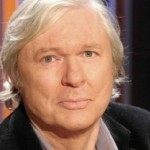 Illegitimate son of Chagall and Virginia – David McNeil is a singer and composer, lives in Paris. 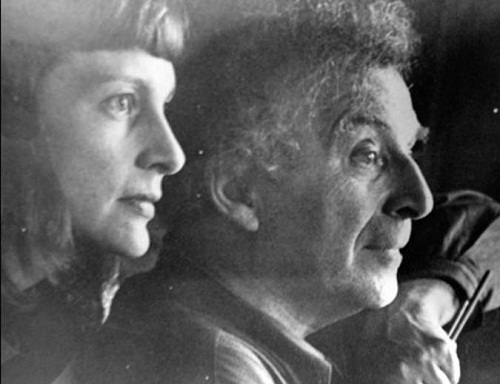 In 1986, after the death of the artist, Haggard reminded the world about her role in his life and published a book of memoirs, “My Life with Chagall. Seven years of plenty.” The book caused a stir not: it was not a special opening in the field of art, Virginia gave tribute to the great artist. 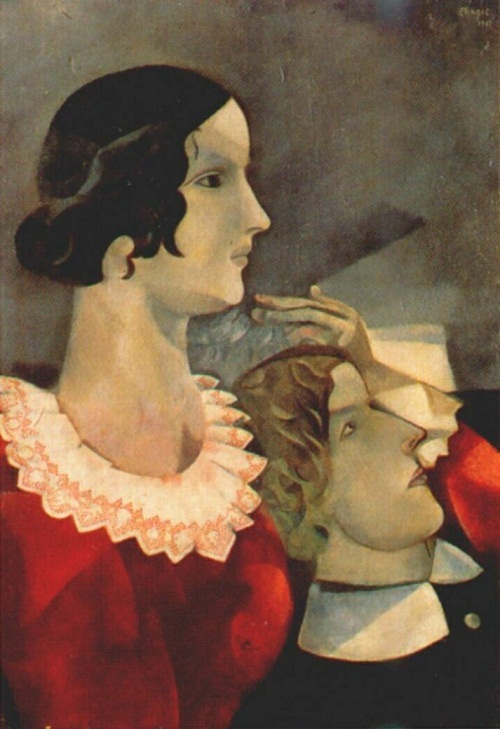 Virginia has done for Chagall everything she could, but to replace Bella was not in her power. 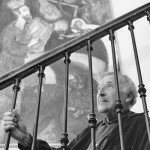 Until the last days he just hugged Bella Chagall forever young in his paintings, and her face was in his Madonnas on the stained glass windows. 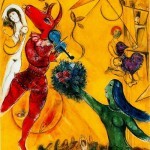 Chagall wrote “Virginia did not have in herself even one-tenth of the genius of Bella”. 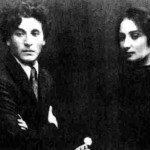 Chagall was deeply hurt after breaking with Virginia – he loved her with all his heart. The artist again wanted to kill himself again, Ida found “Geisha” – owner of London salon fashion, young, beautiful. 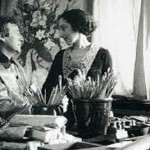 Marriage with her Chagall designed very quickly – within 4 months after they met … This second (and in fact the third) wife’s name was Valentina Brodsky (all relatives called her Vava). She came from a kind of millionaire sugar refiners. Vava, who was a quarter of a century younger than Chagall and had incredible energy. Rapidly, she thawed from frosty elegance to managerial brilliance. Russian meals, especially desserts, were back on the menu – and so was painterly ambition, this time on a monumental scale. 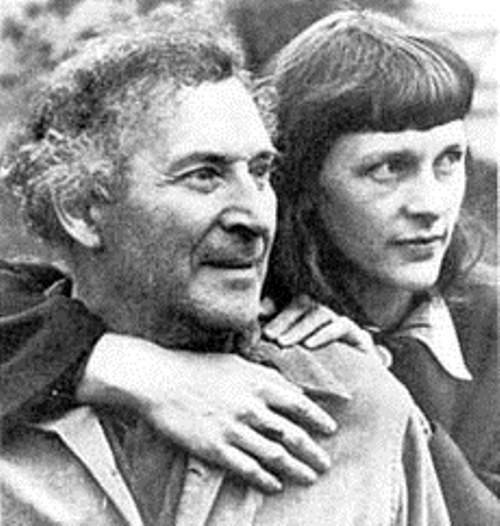 Chagall and Brodsky married in July 1952 and Brodsky did her best to edge Ida out of Chagall’s life – Ida was briskly informed by her stepmother that she was no longer her father’s dealer. 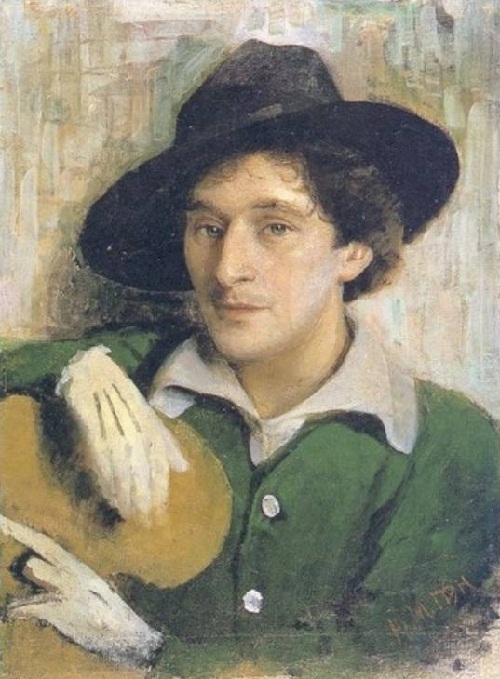 Chagall was content to allow himself to be ruled. 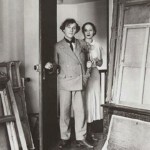 She put the taboo on everything about Chagall’s relationship with Virginia Haggard. This “sinful affair,” which ended long before he met with Valentina Chagall, it just infuriated. Rather, she was jealous: after a period of living with Haggard was one of the most productive in the artist. 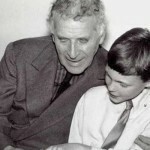 Ida visited her father less frequently, David was also hurt, but Vava forbade to meet with his father. The wedding took place on July 12, 1952. According to rumors, Vava was not happy with the original marriage agreement, and in six years forced the artist to get a divorce and marry again, reaching a new contract on her terms. They spend a honeymoon in Greece, Italy, that inspired the artist on the new plots. Eventually, the family settled in the seaside town of Saint-Paul de Vence in the south of France near Nice. As it turned out, forever. 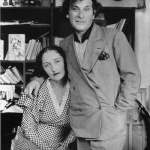 The marriage was, apparently, happy: Chagall had lived with Valentina for three decades and during this period his work had become extremely fruitful. Experts consider new paintings and illustrations are lighter and more cheerful than the old, and spoke about the colors as a more vibrant and diverse. 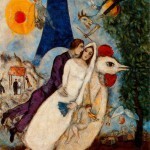 Valentina paid more attention to creativity of Chagall than anyone ever. She was actually still the manager, so that the welfare of the family was constantly growing. 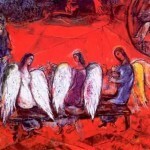 But this has led to the fact that Chagall, in the opinion of many, had become too much about the material side. Picasso once taunted him in an interview: “I know, why he does not exhibited in Russia – because there he can not earn”. 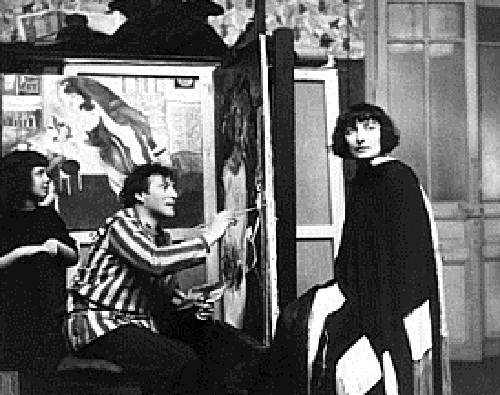 Chagall died on March 28, 1985 in the elevator, going up to the second floor in the studio in Saint-Paul-De-Vence two years before he reached the centennial. 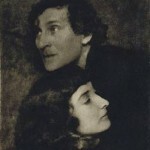 After her husband’s death Vava did not allow the Chief Rabbi of Nice to bury him in a Jewish cemetery, and the remains of the artist found peace in Saint-Paul-De-Vence. 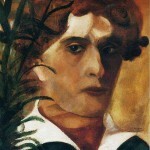 Russian artist associated with several major artistic styles and one of the most successful artists of the 20th century. He was an early modernist, and created works in virtually every artistic medium, including painting, book illustrations, stained glass, stage sets, ceramic, tapestries and fine art prints. 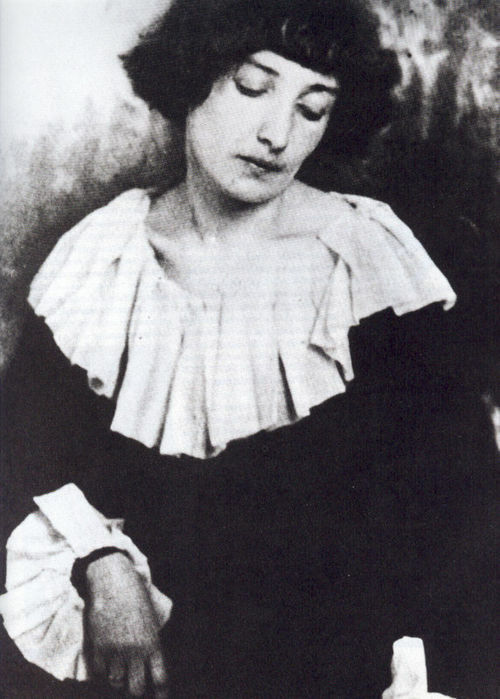 Bella Rosenfeld Chagall (1895, Vitebsk – September 2, 1944, New York City), was the wife of Marc Chagall and a writer. 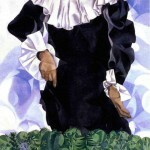 She was the subject of many of Chagall’s paintings including Bella with White Collar in 1917.